First off, we hope everyone had a relaxing and restful holiday. Happy (slightly belated) New Year! Let’s hope good things are in store for 2019. You hear a lot about influencers in social media. What is an influencer and how does this growing trend affect marketing strategies for business (big and small)? First, here’s the definition: A social media influencer is someone on social media who has established credibility in a specific industry. 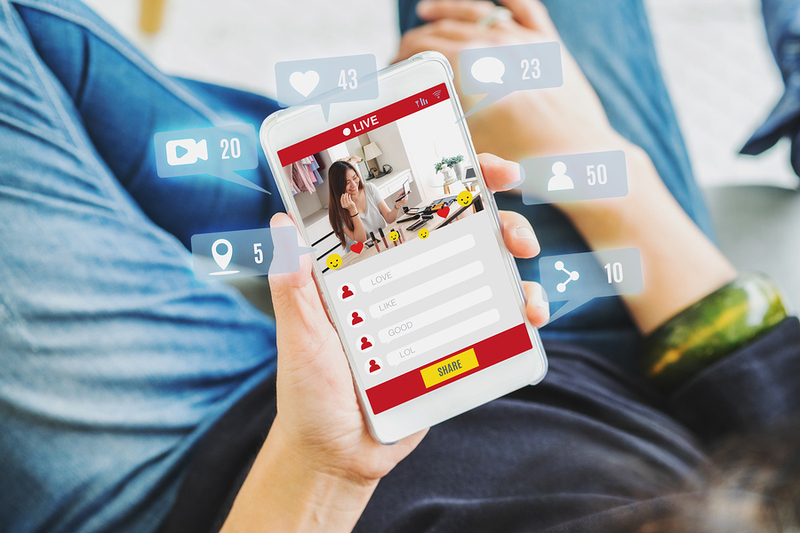 A social media influencer has access to a large audience and can persuade others by virtue of their authenticity and reach. Influence marketing is nothing new. It’s been used since the early days of advertising. Companies realized the value of having celebrities endorse their products. They also created iconic figures to help with brand identity (think Santa for Coke or the Marlboro Man for cigarettes). What’s new is the rise of the Internet and social media. Social media influencers can now be just as famous as traditional celebrities and sports figures. These individuals make regular posts on social media and connect with their audience. They’ve built a reputation for their knowledge and expertise and forged relationships with their followers — a powerful marketing tool. As with traditional advertising, beauty, fashion, travel and fitness are the big target markets. Influencer marketing grew out of the traditional celebrity endorsement. These influencers, sports figures, actresses and actors and other well-known personalities, are used by large companies. Industry leaders and thought leaders include journalists, academics, industry experts and professional advisors. These influencers are often quoted in blog posts or used in social media campaigns. Micro influencers are quickly becoming the most important category of influencers. These are average everyday people who have become known for their knowledge about a specific niche and have attracted a sizable following. As their number of followers grow, micro influencers are becoming more famous, — some at an astonishing rate — going from virtual obscurity to being nearly as well-known as traditional celebrities. The impact of these influencers is especially strong with younger consumers (known as Generation Z), who spend more time on the Internet than watching TV or going to the movies. Every small business can use these methods. You can define your niche, give it a unique slant, post on Twitter, Facebook and Instagram and upload videos to YouTube. If you need help with internet marketing, Farmhouse Creative is always here to help.